The Fort Meade, Maryland area is in one of those great locations where old-fashioned neighborhood living is still available, but the commercial features of the city are nearby. Single family homes, townhouses, and condos are all options near the base. Fort Meade NSA also sits in the middle of several amenity-filled cities with doable commutes in either direction. Baltimore, Columbia, Annapolis, and for the unflinching commuter, Washington, D.C. are all possible locations to live, work, and play. 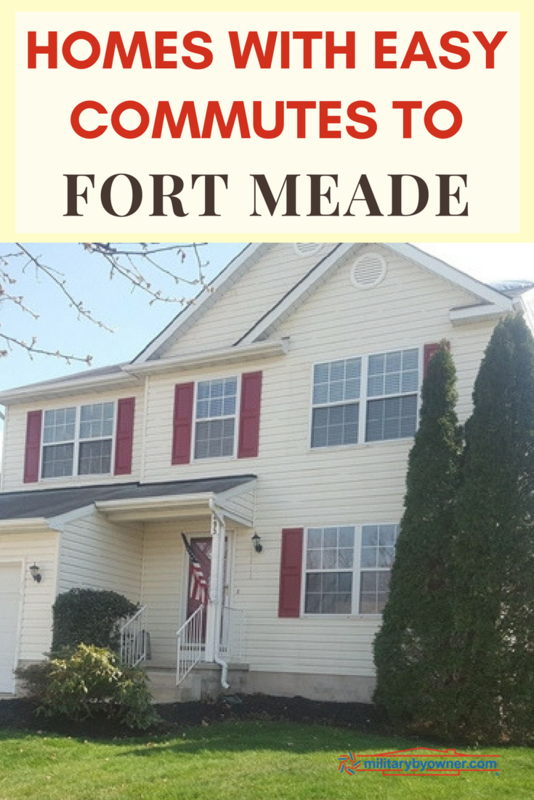 But for this week’s version of MilitaryByOwner's Homes of the Week, we’ve highlighted popular cities near Fort Meade NSA that are within 20 minutes’ drive, yet they all are highly sought-after destinations because of their family atmospheres and award-winning schools. Oh boy, a pool! The next buyers of this home will hit the jack pot for a backyard oasis and entertaining space. The in-ground pool and hot tub will be sure to please all of your family and friends. While not swimming or soaking, they’ll have the opportunity to relax in the screened-in porch or lounge on the patio while admiring the landscaping. Nearly 3,000 square feet is occupied by 5 bedrooms and 3 bathrooms, not to mention the enviable and large master suite. Hardwood floors are found throughout the house, but other top-notch features are ready to show as well: granite countertops in the kitchen, spacious laundry room, and seemingly unlimited storage space are just a few examples. Curb appeal is one of the best features outside, but a new roof and a 2-car garage aren’t so bad either! The perks of cul-de-sac living are also available, as is the option to use the water privileges of the neighborhood. 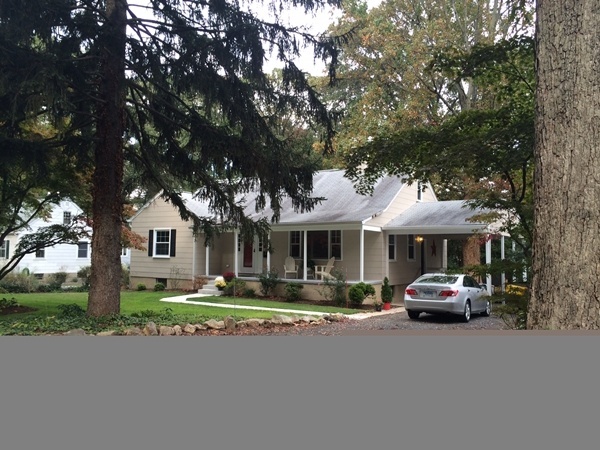 Olde Severna Park is a neighborhood that has the quaint hometown feel many military families are looking for. Conveniences such as a coffee shop, restaurants, grocery stores, and a farmers' market are all within walking distance. Water privileges with easy access to gentle beachfront and water activities, including a boat ramp, are included in the rental price. In 2015, the owners completely renovated the property. The improvements include new windows, refinished hardwood floors throughout the house, and updated bathrooms. The kitchen is outfitted with an open island, granite countertops, and stainless steel appliances. New cabinets accommodate plenty of kitchen essentials. A charming fireplace completes the list of amenities. 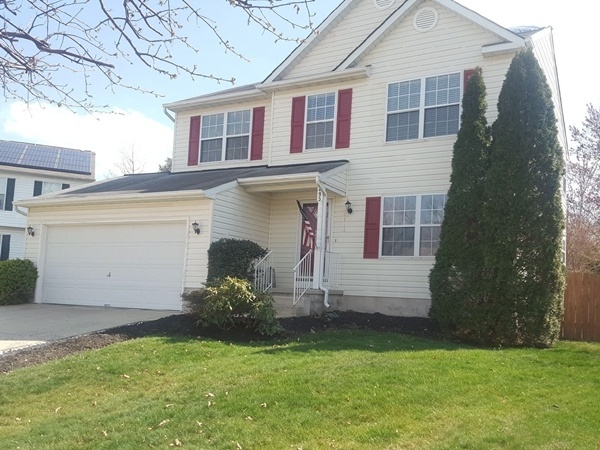 Outside, a welcoming front porch overlooks a well maintained front lawn, while in back, the wooded lot conveniently backs up to the B&A bike trail. Plenty of storage space is available in the expansive basement as well as under the carport. 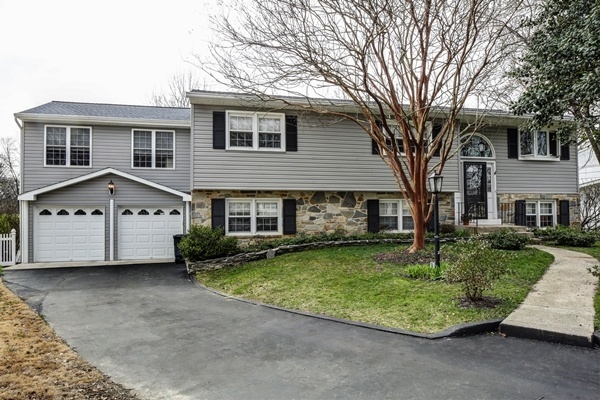 A light, bright, single family home is ready for the military family that needs quick access to the Marc Train—because those work trips down to D.C. are usually unavoidable! Luckily, the easy trip to the train station also facilitates frequent jaunts to the BWI Airport or even farther north or south on the tracks for fun exploration of the region. NYC, Boston, and Philly are doable for a weekend trip. Fresh paint and new carpet awaits the next renters, which is always a great welcome to your new home. The kitchen has a pass-through overlooking a living space, which enhances an open concept feel. The spacious master bedroom with a walk-in closest is finished with an updated bathroom complete with soaking tub and shower. The back deck is perfect for entertaining friends and family, while the fenced yard is optimal for neighborhood kids to play with the-upon-owner-approval dog. The home is situated on a cul-de-sac, which means plenty of safe place to play and hang out with the neighbors for block parties and trick or treating. A two-car garage and a walk out basement will take care of any storage concerns you might have. Severna Park and Odenton are just two of the cities that offer convenient access to Fort Meade NSA. Homes in Crofton and Severn also offer an accessible commute and access to all the comforts necessary to make your daily lifestyle easy.